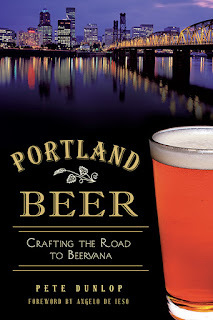 My book, Portland Beer: Crafting the Road to Beervana, was published in September 2013. The book investigates Portland's iconic brewing history from the city's early days through the craft revolution of the 1980s and beyond. It is the only book of its kind. The idea for the project first occurred to me a decade or so ago, when I was considering what had transpired in Portland to that point. Since arriving in 1989, I had observed the evolution of beer here. I thought there was a pretty good story there, but had no idea I would be the one telling it. The 2007 OPB documentary, Beervana, reinforced my thoughts. Written and produced by Beth Harrington, Beervana provides a short but sweet video snapshot of Portland's beer history. This is "must see" TV and it reruns occasionally or you can watch it online here. Very good stuff. Portland Beer is, by design, written for a general audience. 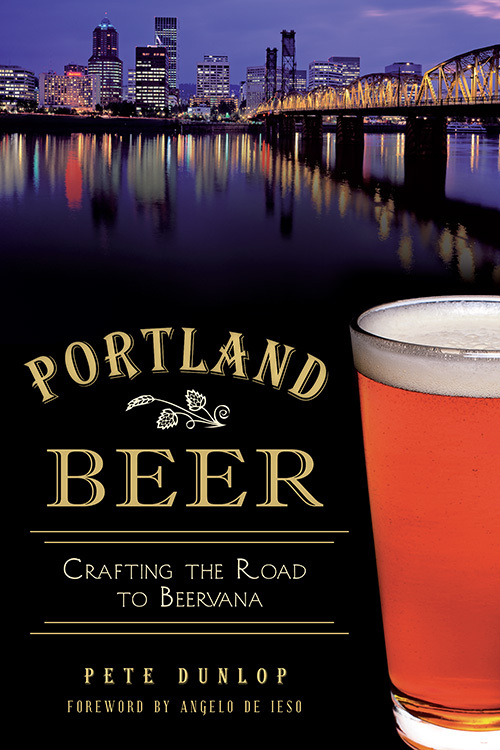 The publisher wanted a book that would appeal to a wide range of people interested in Portland and beer. The result is a book of around 160 pages including a color photo insert. Some might quibble with that. A book written for the beer geek crowd would likely be twice that length. But the prospective geek audience would be much smaller. Thus, the publisher's dictum. The scope of the project required me to make certain decisions in terms of emphasis. Readers will discover that roughly half the book is devoted to what happened here after 1980. That reflects my bias that readers are most interested in the craft period. Regardless, the earlier period gets its due. And there are plenty of interesting story lines. There are a few surprises along the way. This is the first book of its kind on Portland, which means it cannot be considered revisionist history. Yet some of what I report runs counter to prevailing wisdom. Probably the biggest surprise relates to passage of the Brewpub Bill in 1985. For a variety of reasons, previous versions of how that happened were routinely wrong. I tracked the true story using legislative documents. The book continues to sell via online retailers (Amazon) and at bookstores (Powell's Books). Signed copies can be purchased directly from me. Shoot me an email if interested in that option.